Ventilated sneakers built for lightweight cushioned comfort. 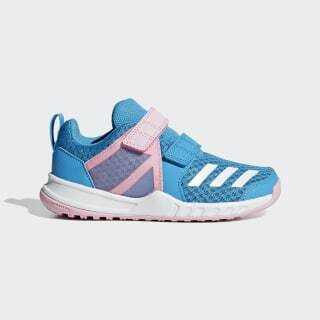 They'll race to the playground in comfort. These shoes have a soft textile upper with a mesh window for breathable comfort. The lightweight cushioned midsole provides all-day comfort. Hook-and-loop straps let your young adventurer get them on and off in a hurry.